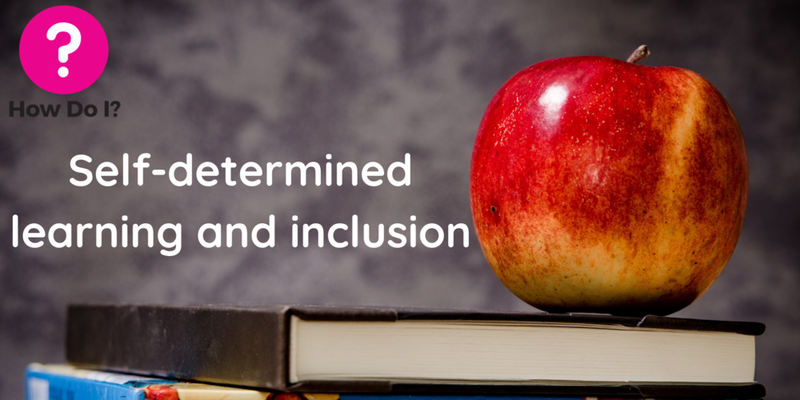 Self-determined learning and inclusion - pictured in the background is a red apple sitting on top of books and How Do I’s logo (a pink circle with a question mark). Facilitator-focused learning is where the facilitator makes all the decisions about what the student will learn, how they learn it and what resources they will use. Having a facilitator organise everything can be good if your employees need a push in the right direction regarding their training or professional development, but it may also be why your employees may not be a fan of classroom learning, as having a single facilitator decide everything may mean their learning needs might not always be being met. For example, if a facilitator hasn’t received any training regarding accessibility or inclusive communication – this may mean some of your employees will not be able to access the learning or will not get the most out of the workshop, which will have an impact on the employee’s productivity and the organisation’s performance as a whole. Self-determined learning is the opposite principal to facilitator-focused learning – the learner may have some support from the facilitator or community who will provide them resources, but they will get to make all the decisions about their learning based on what they believe their needs are. For example, if your employee Karen decides they need more knowledge about Project Management, it’s the facilitator or employer’s job to give them the resources to improve their knowledge. This can be by either providing e-learning tools or giving them time to go off and do their own research. How can it encourage inclusion? 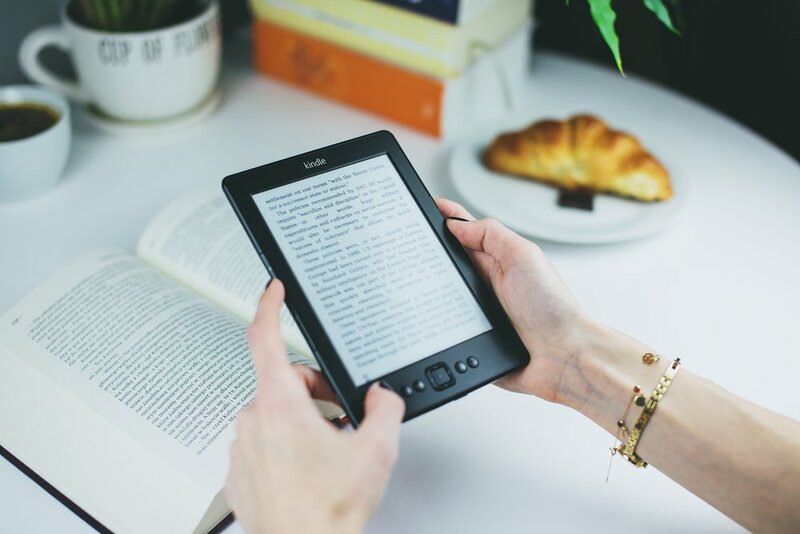 Employees who may not be very tech-savvy may have trouble adapting their learning style so that they can use the digital tools and resources available – sometimes making the learning inaccessible or hard to drive on their own. However, organisations can avoid excluding these groups of people by acquiring user-friendly and accessible learning tools which were designed with a human-centered approach. Once you make the material accessible on multiple platforms your employees already use, such as a smartphone or a computer, barriers to learning become less prevalent and employees are more likely to make learning an everyday part of their life. Steve is pictured sitting in the office lounge and is catching on the workshop he missed by completing the online course. The best employees are learning all the time and not just in a work environment. Encouraging them to be proactive in their learning and find their own motivation can have a positive impact on the business and will prepare them for an ever-changing work environment. Self-determined learning also accommodates different types of learning styles, needs and lifestyles. If Steve the office manager can’t come to the workshop about Inclusive Communication because they need to pick up their kids from school? No problem, he can access the learning material online whenever he chooses and contact the facilitator by email if they have questions. Sunita wants to take a course to improve her accounting skills, but train travel can take longer if her needs as a wheel-chair user aren’t always met by public transport? An online course may be a way for her to get the professional development she needs without travel taking up her whole day. Some employers may believe that it will be difficult to measure the impact of self-determined learning as opposed to classroom learning, which will make it difficult to decide which resources they should invest in. After all, employers can’t watch employees 24/7. However, it’s becoming easier to keep track of who is using your e-learning tools and reach out to employees who might need some help directing their own learning. The How Do I app can keep track of who has watched their step-by-step training videos and if they finished watching the video all the way through. You can also find learning and development software that let’s different platforms speak to one another, so you can get a full picture of who is making the most of the tools and who may need more support from the organisation. Fadilla is a hard worker and is committed to the organisation, but can’t seem to find the time to fit her customer service course which usually takes place the morning? Because her manager looked at the data and started a dialogue about ways of working, Fadilla was able to take her course in the afternoon instead, when it’s most quiet in the office and when her brain is most alert.